We build eLearning programs to improve employee performance, increase revenue, and reduce training expenditure, to help you maximize your return on training investment. Regardless of the tools and technologies used, our eLearning solutions include a mix of dynamic content, rich media, and opportunities for learners to apply knowledge in a virtual environment. We design custom eLearning training that aligns with your strategic corporate objectives using a variety of tools and technologies. Learning solutions to train on-the-go employees anywhere, anytime. We develop mobile learning that improves performance by delivering objective-critical information in easily digestible chunks. 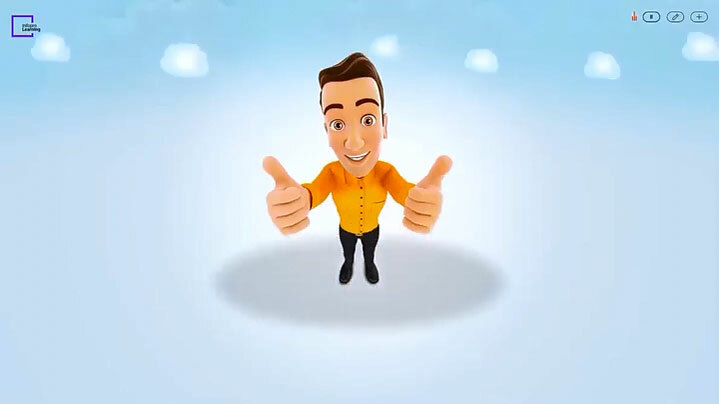 From animations, interactivities, character sets, and color depths, our mobile learning solutions are engaging, media rich, and optimized for the latest devices. 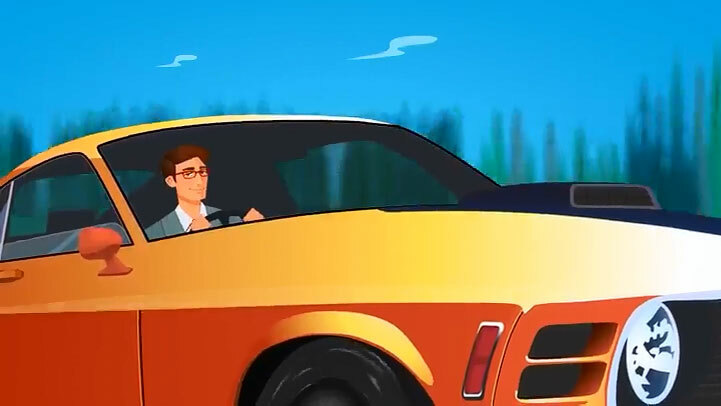 Mobisodes are short videos for mobile learning developed by Infopro Learning to overcome the common challenges our customers face developing mobile learning. Mobisodes are easy to develop and distribute, increase engagement and consumption, and reduce development expenses. Learners must feel they are actually on the job for them to enter the mindset needed to learn a new skill. This requires extreme customization to match the job environment and scenarios. This is what separates on-the-job training from on-the-job experience. In learning scenarios, learners have the ability to immediately recall the actions they took to get to a positive or negative outcome, thus making the impact more memorable than a post-event coaching session. On average, employees face the same 20% of situations more than 80% of the time. Digital simulations should focus on highly repeatable tasks that have few variables. In-person simulations should focus on the more random occurrences that may be less-frequent, but have the potential to be the most impactful. Successful implementations of learning simulations require consistent roll out across all team members, especially those who are considered to already know it all and are mentors to other employees. Naturally engaging: The human brain is conditioned at birth to play games. The very first learning occurs through games. Self-Appraisal: Gaming offers employees the opportunity for self-assessment and appraisal in their skills. Recognition across the board: Gaming offers the lucrative potential of highlighting achievements across the board. Employees are most motivated when recognized for their achievement or contribution. Infopro Learning, with its extensive experience of delivering engaging learning solutions, is here to help you integrate game-based learning with just about any business goal such as improving operations, reducing logistics costs or challenging employees to spearhead enterprise success. Over 100 million hours of training videos are consumed on YouTube every year. Adapting to this new learner preference is not easy. It requires skills, software, and equipment that most organizations do not possess in-house. The learning and development industry is one of the top-growth industries for new technology, and as a result L&D professionals now face the challenge of finding the right software for their specific business needs. We focus on simplifying the technology within your L&D department, allowing your team to spend less time managing software and more time focusing on important issues. 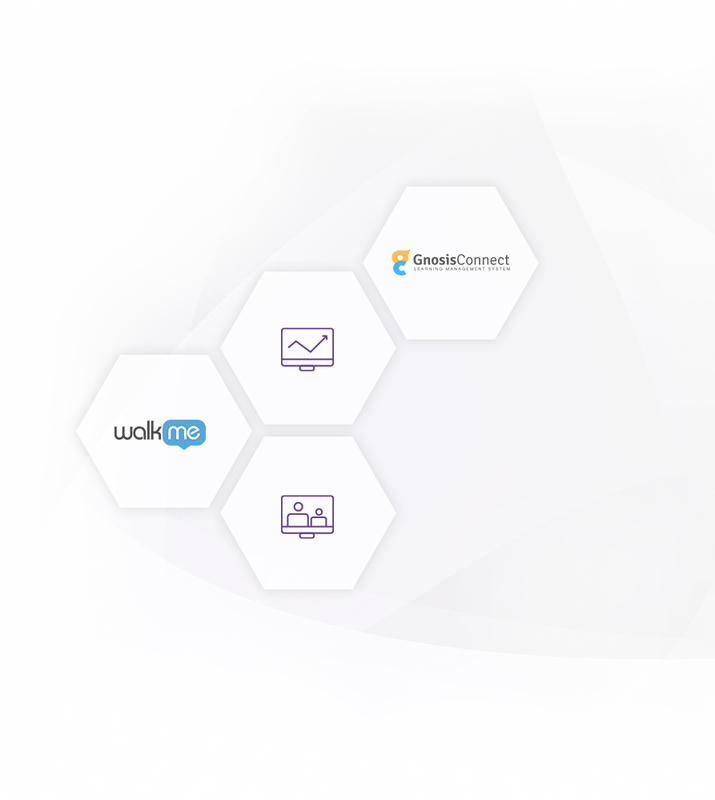 With both SaaS and Enterprise platforms, we bridge the gap between usability and your unique requirements, delivering exceptional user experiences while providing the features and analytics you need. A smart, intelligent, next generation learning platform that is easy-to-use and provides an avenue for the collation of information. 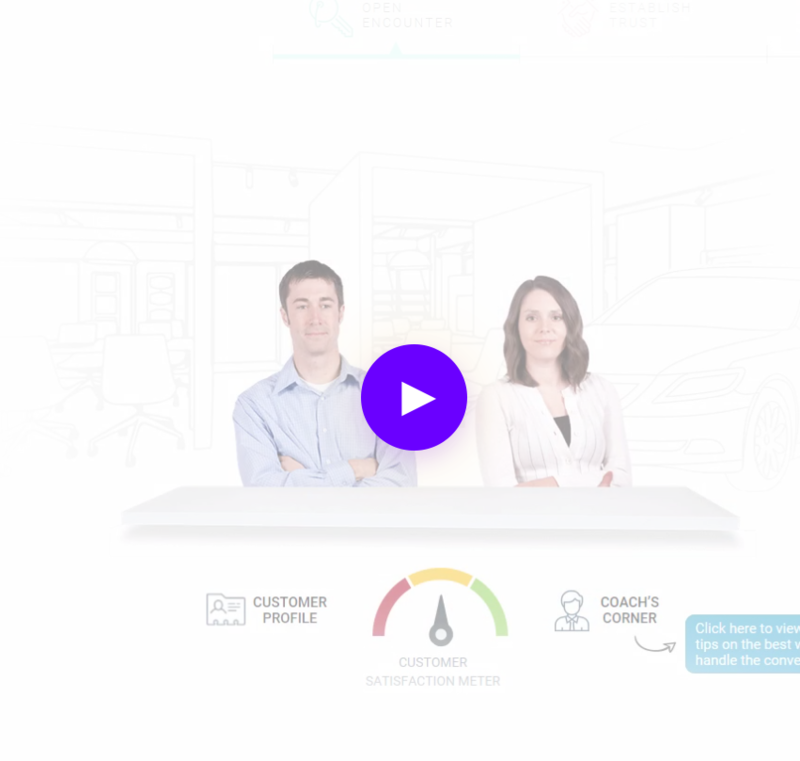 Reduce the cost of training staff while providing training delivered in the moment of need. Developing custom-built learning software that helps to engage learners, increase visibility, and improve the productivity of your company. 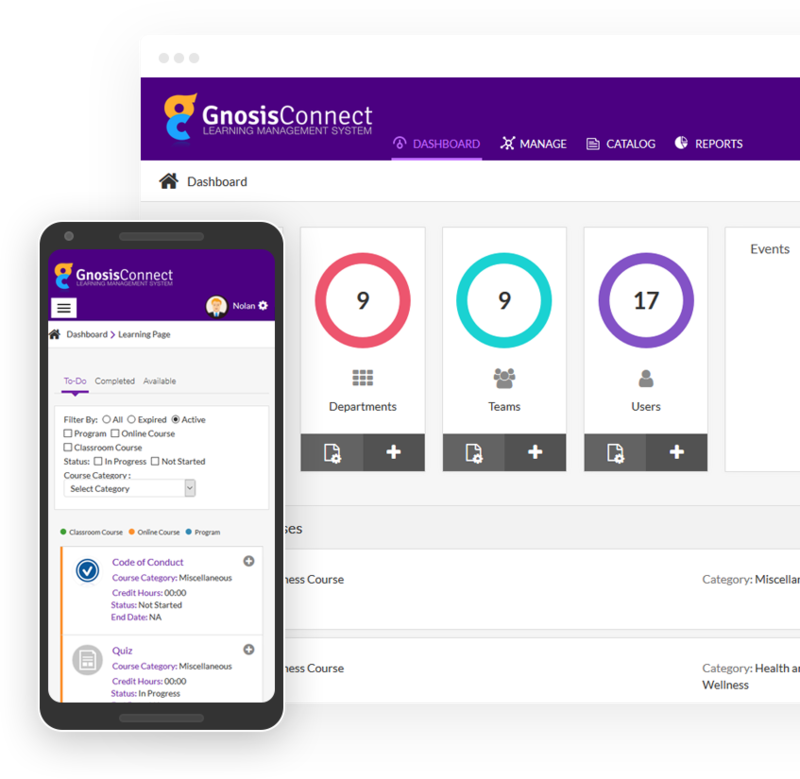 Built to manage a true blended learning environment and delivered on desktop and mobile devices, GnosisConnect LMS provides simple and intuitive access to content, how and when your learners want it. Your organization requires software that can adapt to your unique needs, not the other way around. Let us build your company an LMS that you can truly call your own. Create the seamless learning experience that your learners have been demanding by giving them an LMS that works without fail across every device and platform. Whether you need support via phone, email, or chat, we can provide 24/7 support in the world’s most common languages. We also provide full-service LMS Administration support, for those who want a turn-key solution. 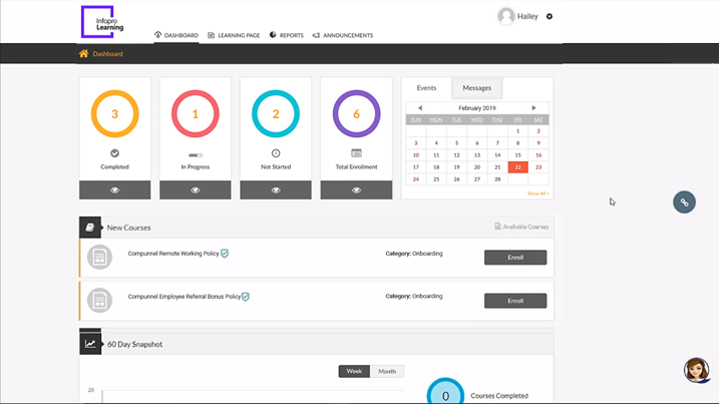 Effortless reporting tools and customizable dashboards to filter out the noise and provide you actionable insight. Feel free to take your data even one step further through our data export tools, available in CSV and PDF formats. We cut months, and headaches, out of implementing a new LMS by guiding you through an agile implementation process with dedicated project managers and training programs.